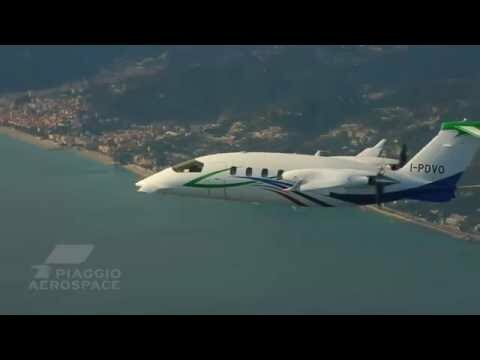 Aviation fans already know this, Piaggio is not only a manufacturer of mythical scooters Piaggio, it is also a great name of aerospace. The latest addition to the Italian manufacturer's catalog is the evolution of the Avanti II, the Avanti EVO. Jet ideal for business trips, this Avanti brings its lot of modifications well felt. The main objective of this change was to make the aircraft more efficient and efficient. It's done. Thanks, among other things, to a new tank and innovative propeller design, the Piaggio carries its autonomy at 3185 km, 17% better than the previous model. These modifications also allow the unit to emit less CO2 and reduce its noise. In addition, the landing gear brake system has been modified to limit maintenance. With these modifications, the Avanti EVO wants to be a plane easy to live. Sober and luxurious, the interior of this new jet is worthy of the highest standards of quality. The individual seats were designed by Lacobucci and dressed by the prestigious brand Poltrona Frau, enough to be comfortable on all flights. Lighting and air conditioning have also received special attention with new systems guaranteeing on board an optimal atmosphere. Aircraft of choice to make a London-Moscow at the last minute, you will need to disburse 6.5 million euros to acquire an Avanti Evo.